10/24/2016, Larry Balyeat, the owner of Senior Care Authority franchise in Louisiana, launched his new corporate website this October, looking to "assist the Senior population and their families and use my skills and expertise in helping them to find the resources that they need and guide them through a successful experience in this transition period”. Founded last July by Larry Balyeat, Senior Care Authority Louisiana is now able to better serve residents of the ‘Pelican State’ with its new corporate website http://seniorcare-louisiana.com, providing important information about assisted living and memory care for the elderly and their families. Senior Care Authority, a nationwide franchise providing free, assisted living, and in-home eldercare placement services, is relying on SeoSamba’s franchise software to develop turnkey websites for all their franchisees across the U.S. Thanks to its turnkey franchise website solution, franchise marketing specialist SeoSamba was able to provide a turnkey website to Senior Care Authority Louisiana in record times, as well as a full-fledged blog & news platform to update content easily and rapidly. After forty years of healthcare experience in hospitals and physician practice management, Larry Balyeat appreciates how SeoSamba’s content management and online marketing platform will make his life easier to manage his online presence. “Our main concern was the ability to edit content directly on website” says Larry Balyeat, who is also very pleased with the integrated social media tools that let him post to multiple social platforms straight from the website. Mr. Balyeat also emphasizes the “ease of development” he felt with SeoSamba during the site building process, especially regarding online marketing & advertising support, as well as the increased “social media exposure on Facebook, Twitter, or LinkedIn” he expects to leverage in the coming weeks. 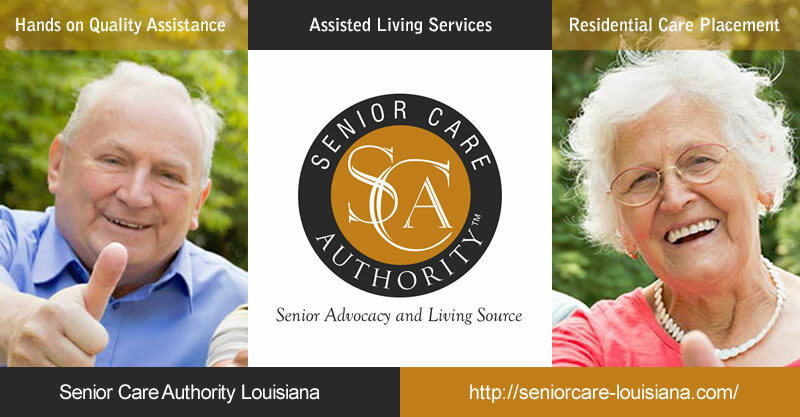 Senior Care Authority Louisiana provides elder care referral service for the growing senior population in Louisiana. For more information about Senior Care Authority Louisiana, please visit http://seniorcare-louisiana.com/, send an email to larry@seniorcareauthority.com, or call (504) 702-6830. The online markeing platofrm SambaSaaS lets you manage SEO, social networking and online marketing across any number of websites through a single cloud-based interface, while our open source front-end SeoToaster let you build, manage and market easily corporate, directories and ecommerce websites. For more information about SeoSamba, visit www.seosamba.com or contact info@seosamba.com, and in the US: + (1) 877.450-9894 or in Europe at + (33) 6756376.